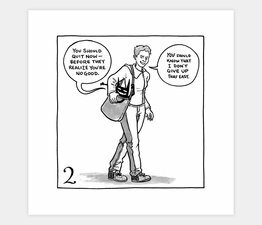 Lucy Bellwood is a professional Adventure Cartoonist living in Portland. 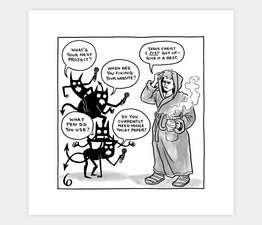 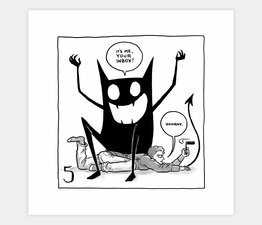 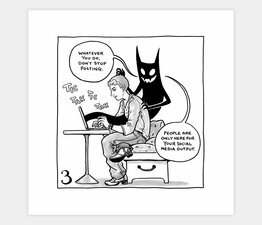 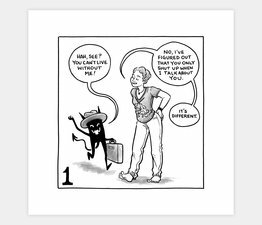 Lucy created 100 Demon Dialogues— It explores self-doubt, creativity, anxiety, compassion, and being a human being in a noisy world. 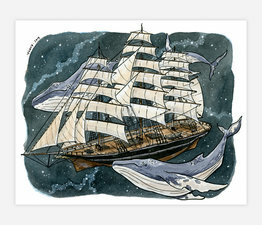 This is a print of her original illustration, made with archival inks on an enhanced matte paper. 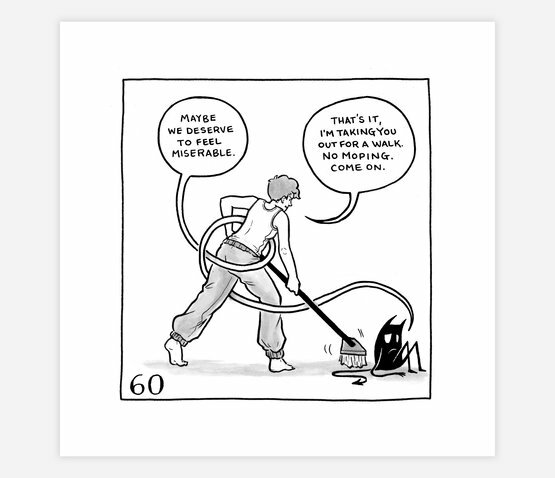 Illustration is roughly 6" x 6" with an ample 1.25" border on all sides. 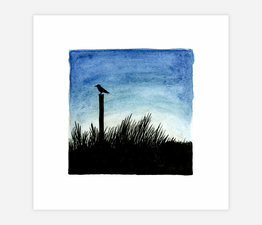 Printed in Portland, Oregon at the Land Gallery.